Impressed by a group of young entrepreneurship students, Weatherhead’s Design Club launches new collaboration. 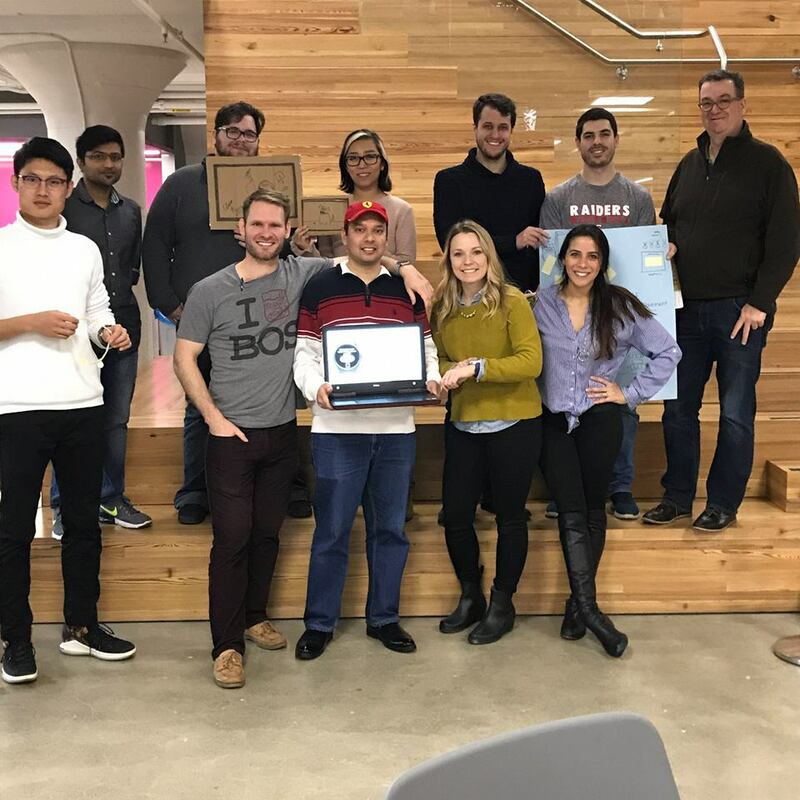 When members of Weatherhead’s Design Club were attending an event at LaunchHouse, a local incubator for startups, some particularly savvy high schoolers caught their attention. “There were a ton of really smart kids in the room, and we all wondered, ‘what are these cool 16 year-olds doing here, asking these really intelligent questions?’” says MBA student and Design Club President, Lauren Nelson. These “really smart students” turned out to be from Hawken School at University Circle and are part of Hawken teacher Sarah Swain’s entrepreneurship class. When Nelson and Swain finally met over coffee, a partnership was born. This fall, Weatherhead’s Design Club plans to facilitate workshops at the school on the different stages of the design process—a process the group has already mastered, as a result of its “Designful Mornings” events at Weatherhead. Design Club has also offered to help critique the students’ projects and plans to invite the high schoolers to campus so they can see what it looks like to study business at the graduate level. Managing by design is a philosophy tethered to Weatherhead’s teaching ethos, with the belief that great managers are also designers—of processes, projects, strategies and systems. Weatherhead’s Design Club brings together students passionate about this philosophy to develop creative confidence, learn design skills, and participate in design project work. The partnership with Hawken School is set to kick off this fall.